Just because its ski season, doesn’t mean skiing and snowboarding are the only things on the agenda. When it comes to Winter Sports, you’re only limited by your imagination (and what’s safe of course). There are so many activities you can do, many of which you probably haven’t even heard of…until now. 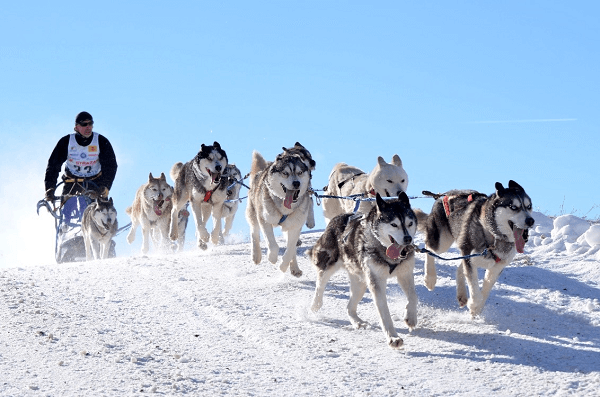 Before the days of snowmobiles, Huskies were the main port of call, providing a safe and efficient way to travel long distances in cold snowy conditions. Nowadays it’s inbuilt into the tourism industry in places such as Finland and Norway, creating memories for visitors that’ll last a lifetime. These dogs are most at home in these wintery conditions, so rest assured that the eager nature of these stunning canines is genuine and inbuilt within their quirky personalities. Plus, their excitement is infectious, so prepare to be smiling through the cold air as you speed through the thick white snow, on your sledge drawn by these bundles of energy. There’s even the option to be a husky “musher” if you’re feeling brave enough. This is when you’re handed the reins, becoming alpha to a team of dogs. Rest assured, you’ll soon learn to trust the huskies, (they know these routes like the back of their paw), so you can just enjoy the adrenaline rush and absorb the beautiful scenery. Imagine kiteboarding on the water… well, how about instead of water its snow…. that’s basically snowkiting. Not for the faint of heart, it’s definitely a sport that’ll have you screaming with excitement from the top of the mountain. Of course, if you’re a beginner at skiing and snowboarding then this is NOT ADVISED, as it will probably end in tears. However, if skiing is second nature, and you feel like mixing it up, this may just become your new favourite sport (you’re welcome). As you can probably imagine, there’s a number of do’s and don’ts when it comes to the sport, from where to snowkite, to essential gear- so thorough research is key. Speaking as your travel insurance, your safety is paramount to us, so we strongly advise you never go snowkiting alone, no matter your ability! 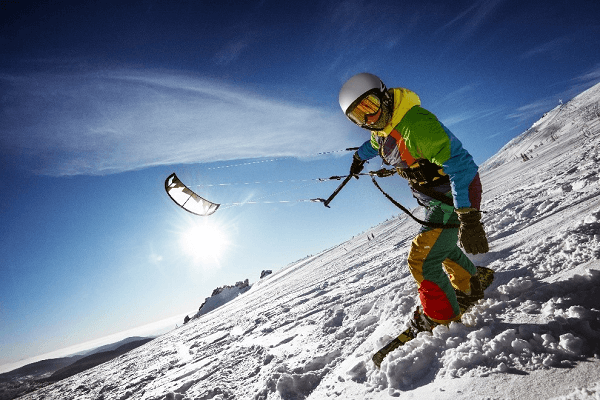 For more in-depth information we recommend you read The KiteBoarder guide to snowkiting, to see if this sport is really for you. 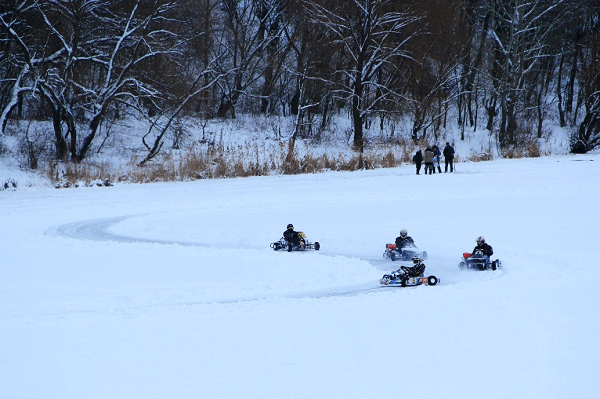 If you love go-karting and don’t mind sub-degree weather, then prepare to fall in love with snow karting. Now, whilst the “snow karts” are designed for the winter weather (with studded tyres for extra grip and power to handle the snow), there is an element of skill required including having fast reflexes. Like anything, practice makes perfect, so regardless of whether or not you have experience, we recommend you giving it a go! As with many winter sports you’ll find a lot of places that offer this activity has a minimum age rule (often 15 years old). So, if you have little ones, best to avoid this one and try something a little tamer. A number of ski resorts have snow karting runs, including Bansko Bulgaria and Aspen USA. If you’re going away and want to give this sport ago, we recommend checking availability and booking well in advance to ensure your space on the runs. 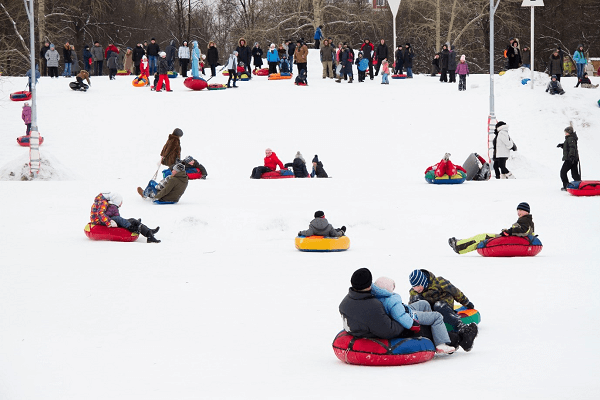 Snow tubing…it’s one of those sports that’s hard not to love. Whether you’re going away with friends, your significant other or your family, we’re sure snow tubing will be something no one will pass up. From afar it kind of looks like a rubber ring (perhaps one you’d relax on whilst cruising down a lazy river), however, let us put your mind at ease – the large inner tube is designed for the harsh winter conditions and is sure to have you beaming from ear to ear. What makes snow tubing even better is that it requires next to no skill. Best described as a unique type of adrenaline-charged sliding, there are a number of snow tubing parks dotted around the world to ensure whatever your budget, you can experience this exhilarating activity. We recommend Switzerland, which offers the largest number of runs. At Zermatt in Switzerland, the snow tubes are available for free at the peak, allowing you to partake in the sport at an altitude of 3,883 metres! If you want to let your hair down and have some fun, this is definitely for you! At Get Going, we want you to experience all these weird and wonderful winter sports, so we’ve created a dedicated range of Activity Packs which can be added to all policies, allowing you to customise your cover and book your next adventure… Make sure you select the correct pack in the quote journey that includes the sports you wish to try during your trip. If we don’t include an activity, contact us and we’ll see if we can provide cover! Review your Experience with Get Going for your Chance to Win!